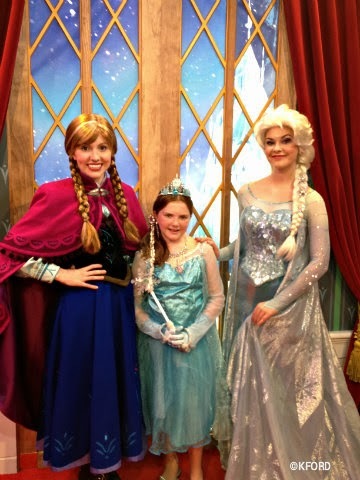 Disney Movie Princesses: Meet the Princesses of "Frozen" at Epcot Center! 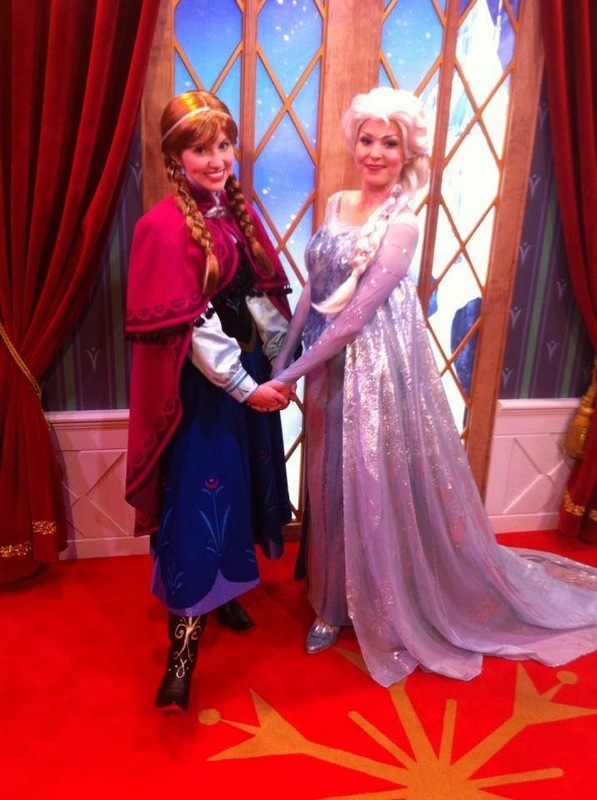 Meet the Princesses of "Frozen" at Epcot Center! Disney Animation Studio's smash hit "Frozen" won two Academy Awards and is fast approaching the Billion-Dollar mark in ticket sales around the world. But is that all there is to "Frozen" and its two fighting sisters? Plans are afoot for a Broadway Musical and other attractions. However, if you are a fan, or, more likely, your own little princess is a big fan, then you might consider going to Walt Disney World in Orlando, Florida to meet them. 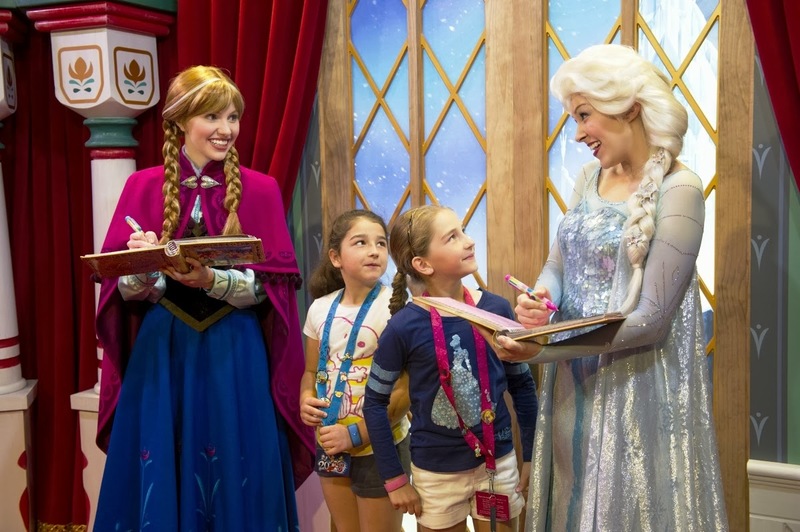 Word is that the meet and greet with the "Frozen" princesses has become one of the most popular attractions in the park. You know what that means. If you are interested in seeing them, think about getting to the park as early as you can get your princess out of bed and hustle over to the World Showcase's Norway Pavilion at Epcot (near the Mexico Pavilion). Your wait, pretty much no matter when you get there, will be anywhere from an hour to four hours, and you can expect the latter if you get there during the middle of the day. Rumors are abounding that Disney will convert the Maelstrom boat ride in the Norway pavilion into one devoted to Anna and Elsa. That is all just speculation at this point, though it would make a lot of sense. It would turn the Norway pavilion from a relatively sleepy look at a fine Nordic country into a permanent hotbed of "Frozen" fans. Disney continues to have no comment about such possible plans. The two princesses also will become part of the Magic Kingdom's nightly “Celebrate the Magic” show, which is projected onto Cinderella Castle. 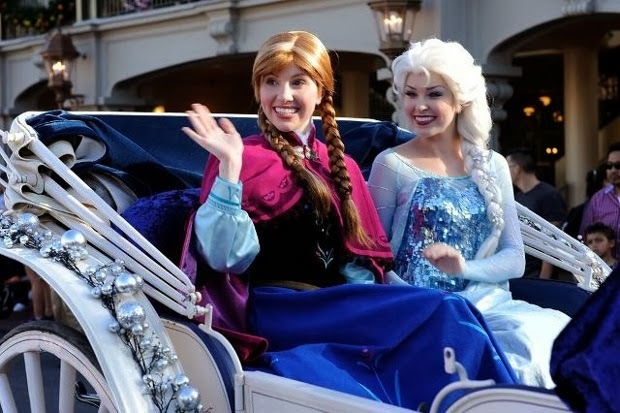 In addition, Anna and Elsa are scheduled to begin appearing in the park's Festival of Fantasy parade, which debuts March 9 and is always a big highlight of the park experience. They will appear on the Princess Garden float and will greet guests to the park, along with princesses Belle, Cinderella and Tiana. The parade will bring stories such as "Peter Pan," "The Little Mermaid" and "Tangled" to life. It will celebrate New Fantasyland and will showcase the wonder of all the new attractions to Main Street USA. The Disney Festival of Fantasy parade will carry its own unique sound this year, with an original song and score by composer Mark Hammond. He worked on "World of Color" at Disney California Adventure and the "Flights of Fantasy" parade at Hong Kong Disneyland, so he is a veteran hand at the sounds of Disney. And, at some point this year, on a day yet to be announced (perhaps two separate days), both princesses will be inducted into the official Disney Princess line-up. Since Disney is moving away from the whole "princess thing," they might be the last two inducted for a while, but we shall see. The Magic Kingdom has New Fantasyland, Animal Kingdom has Avatar and the new after-hours makeover, while Hollywood Studios is rumored to be getting a Star Wars overlay. A renovation of Epcot to include the "Frozen" girls would be perfectly in line with other work being done at Walt Disney World over the past few years. Only time will tell, the Disney people will announce whatever they decide to do when they are ready.